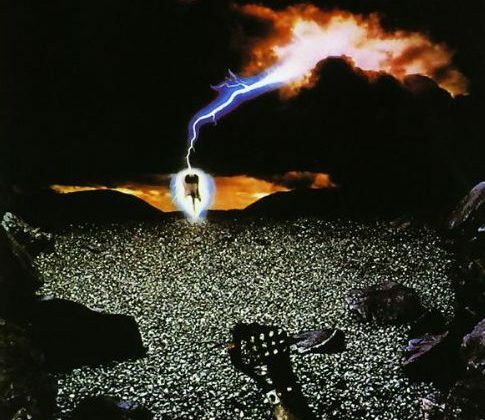 Home›Reviews›Thin Lizzy - Looking Back at 1983's Thunder and Lightning, the End of an Era! 1983 marked the end of an era. 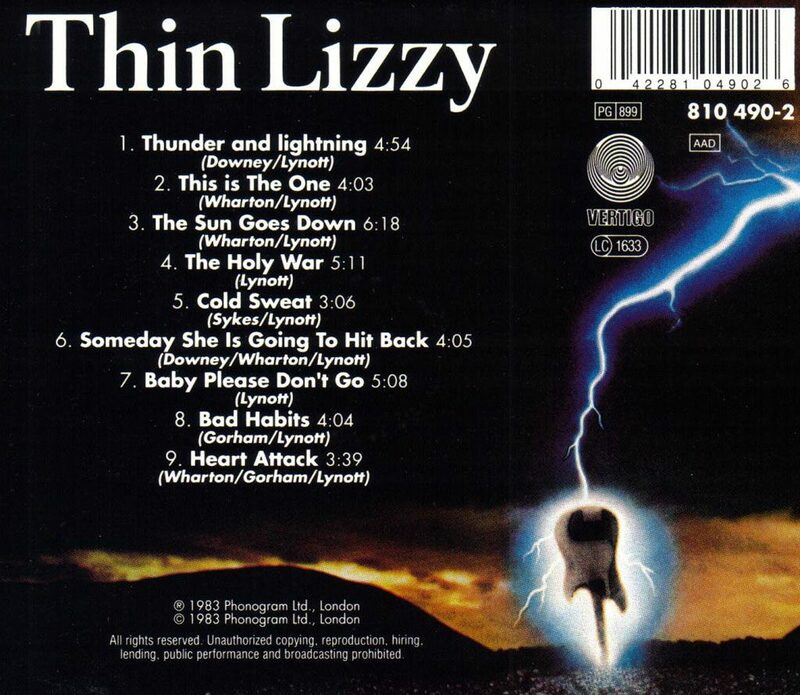 It was in March of that year that Thin Lizzy released the Thunder and Lightning studio album, which would end up being their final effort of original material prior to the death of Phil Lynott in early 1986. By this point Phil Lynott had recorded and released two solo albums, and the group had lost guitarist Snowy White, who was replaced by John Sykes, fresh out of his stint with Tygers of Pan Tang. 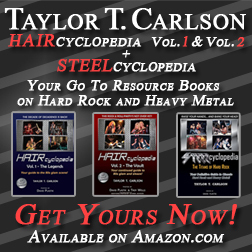 For their final album of original material, the group was comprised of Phil Lynott, John Sykes, Scott Gorham, Brian Downey, and keyboardist Darren Wharton, who had joined the band a few years prior. The album, upon release, hit #4 on the UK charts; it was their most successful album in years. With all of the inner turmoil, it is not clear if the musicians in the band knew this would be the final Thin Lizzy release of original material; a posthumous live album would follow a few months later, with Phil Lynott doing some additional bands/solo tours prior to his death. An earlier CD release of the album. So how does Thunder and Lightning fare? Being a band that had so many issues with its members and inner struggles, you would think that this was something put together under unpleasant circumstances and that the end results would reflect that. Of course, you would be wrong. Thunder and Lighting is not only a fantastic album, it is one of the best albums Thin Lizzy ever made! If you are going to go out on top and with a bang, putting out an album like Thunder and Lightning is the way to do it. 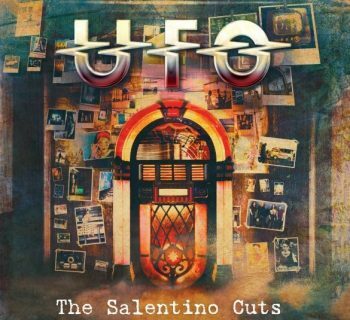 The album is noticeably heavier than the earlier Thin Lizzy records; the presence of guitar ace John Sykes (later of Whitesnake and Blue Murder) is felt on every single track. Nothing Thin Lizzy put out could ever really be considered all-out “heavy metal,” but thanks to Sykes, this album comes pretty damn close in a few places. Darren Wharton’s presence in the band also becomes fully fleshed out here, with songwriting credits and some wild keyboard playing that only contributes to the heaviness and hard rock feel, without detracting from it. 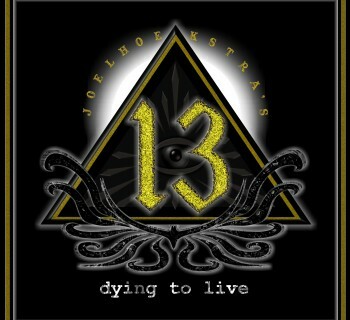 The Deluxe Edition reissue of the album. Disc two features a series of live tracks recorded in 1981, plus original demos from the sessions for the album. The album has been issued many times over the years, and it got the Deluxe Edition treatment a few years ago. This Deluxe Edition features six live tracks recorded in 1981 prior to the album, and nine demos of the cuts that would eventually appear on the record in their completed forms. If you can get it, this is definitely the version to own. Thunder and Lighting is Thin Lizzy’s last grand stand in the studio, and they make this record count, whether they knew it would be their last or not. A masterpiece of hard rock that does not sacrifice everything that made the band musically diverse, the album gets this fan’s absolute highest recommendation. 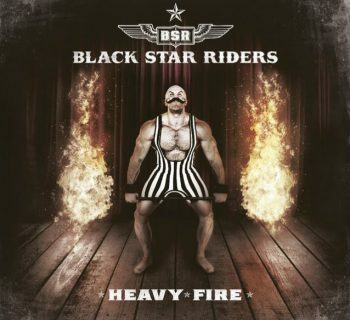 Black Star Riders - Thin Lizzy Spin-Off Band Returns With Heavy Fire!